My Sweet Savannah: A happy customer! 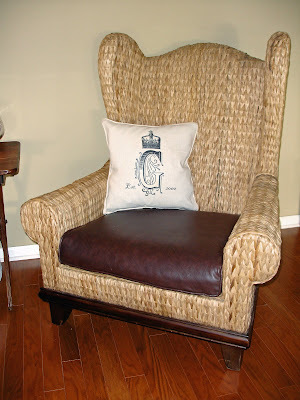 I love seeing how people use the things I make and incorporate them in their own homes! Patricia G. sent me this picture today of her new pillow I made! Thank you so much for sending the photo my way! Enjoy! That is one beautiful chair, and your pillow is the perfect accent for it. Love the naturals together. Oh I'm drooling over that chair. Pillow looks great too!